Home » Home » What is email list cleaning and how does it work? What is email list cleaning and how does it work? Is it time to give your email list a good scrubbing? If you’ve got a bunch of people receiving your emails but not engaging, then chances are it could be in need of a refresh. In this article, you’ll find out why it’s so important to keep your list sparkling clean and exactly how to sanitize that list for best results. How do you know if your list needs to be scrubbed? The first sign that your list is scrub-worthy will show up in your metrics, specifically open and click rates. If you can see a decline in these over your last few email campaigns, then you might have a build-up of unsubscribers and disengaged individuals. Now, check out your spam complaint and unsubscribe rate. Do you see an increase there? Bingo. You found it! And, unfortunately, if your subscribers aren’t opening or clicking, then they also aren’t being converted into customers. Even worse, if they’re tired of getting your emails and flagging you as spam, then they can be impacting your deliverability to the people on your list who do want to hear from you. How does email list cleaning work to change your lagging metrics? Read on to discover the benefits of regular list cleaning. Why clean your email list? When you don't take care of something the way you should, it usually becomes unhealthy. Your email list is no different. A build-up of unengaged subscribers in your list means you’re wasting valuable time, marketing energy, and—here’s the big one—revenue marketing to people who just aren’t interested. And, since email list churn (or subscribers who bounce, report you as spam, or never even open your emails) can eat through up to 30% of your list each year, it’s important to stay on top of things. This means doing a once-over email list cleaning a few times each year. Like many tasks that involve housekeeping, this might seem like a pain, but it’s really worth the effort in the long-run. Click and open rates are percentages calculated from the total number of emails sent. Here are some examples of target click and open rates by industry. While this list gives you something to shoot for, you also want to keep a close eye on your metrics to see trends and fluctuations caused by changes in your strategy and other industry and marketing trends. Removing the non-openers and non-clickers by cleaning your list increases the number of people who are participating versus the number you’re sending. And even though these are the same people that were clicking and opening before, your clean list has just done one very important thing—removed the people who are reporting you as spam. Google, Yahoo, and other email providers keep track of spam complaints and if you’ve gotten too many, they’ll start sending your stuff straight to the spam folder—even for the people who want to get your emails! This is a major problem for email marketers, and deliverability has been declining due to this very problem. Reducing spam complaints helps your emails make it to the inboxes that want them and improves your sender reputation with email providers. Bounced emails are just as bad for your reputation—and your email’s deliverability—as spam complaints. A bounced email happens because a receiver’s inbox is full, there’s an error in their address, or sometimes just a technical error. Either way, you want to keep your percentage of these down to keep your deliverability up. Depending on how you’re sending emails, there are hard costs associated with keeping unengaged subscribers on your list. Most email services charge according to how many emails you’re sending or how many subscribers you have. If you’re sending a number of emails to people who don’t want them, you’re wasting marketing dollars. Reducing your list to only those people who are engaged can help improve your overall marketing return-on-investment (ROI). Having a clean list means your email marketing campaign materials are going out to people who are engaged. This allows you to more fully understand if your marketing strategy is working, and how to tweak it if it isn’t. In turn, a more accurately targeted campaign will convert more subscribers into customers, increasing your revenue and your ROI. 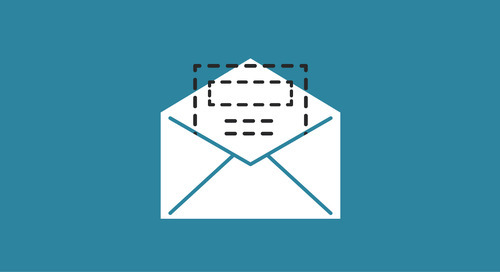 Now, let’s get to the nitty-gritty of email list cleaning tactics. How does email list cleaning work? Okay, you’ve determined your list is a bit dusty and you’re ready to shine it up. What do you need to do to get the best results? 1. Get rid of the no-action subscribers. If someone is on your list but never opens your emails, remove them from the list. They’re not getting your messages anyway, so why let them skew your metrics and potentially increase your emailing costs? 2. Keep an eye on syntax errors. Someone with fat thumbs typed in their email address as “@mgail” instead of “@gmail” and now you’ve got an inactive email. Or, you might have addresses with extra spaces and unsupported characters. Check for obvious syntax errors where you can. Some email cleaning services offer this option and will do it via software. If you’re sending emails weekly and some of your subscribers are opening them once a month, you may still want to email that person—just not as often. Email lists take time to build, and you don’t want to lose a subscriber who may still be interested. However, you want to be sure you don’t get spam complaints, either, so you’ll want to limit your contact. Once you determine your low-activity subscribers, you can move them to a separate list that gets targeted communications less often. Low-activity subscribers might still want to engage. Send them an email letting them know you want to reconnect and asking them to click a confirmation button if they’re interested. While this Teespring example is focused on website engagement, it would be easy to parlay this into an email list reconnection email. If you send a re-engagement email and your subscribers don’t respond, only email them with a critical product or event news in the future. If they do respond, remind them to whitelist your email address to keep your emails out of their spam folder, which may have been the reason they were disengaged in the first place. 4. Determine why subscribers left. Not provide content targeted to them? Your list could have fallen prey to any of these shortcomings, or your subscribers may just be suffering from inbox overload and decided to shut everyone down. Either way, knowing why people are opting out is critical for the health of your list in the future. To ensure you know why people are leaving, make sure there’s an opt-out query attached to your “unsubscribe” feature on your emails. This one is basic, but it gives you the general idea. Allowing subscribers to let you know their reasons for unsubscribing will only help you fine-tune your content and communications for better ROI. Now you know that keeping your email list sparkling is a great way to increase your ROI, get a better grip on your performance metrics, save money, and make sure your email marketing strategy is on target. In addition, a properly-maintained list will cut down on spam complaints and bounces to keep your brand’s reputation as clean and shiny as your list. Be diligent in maintaining your email list properly, conducting maintenance several times per year—or whenever you notice those opens and clicks dropping off. By keeping your list full of engaged subscribers who are interested in what you’re sending, you’ll build a strong list of passionate, loyal customers. You know, the kind that gives email marketing the amazing reputation for ROI that it so richly deserves. Lane Harbin is a senior content marketing manager at Emma. When she’s not geeking out over email marketing, she enjoys binge-listening to podcasts, catching up on the latest tech news, and constantly rearranging her living room. Emma teaches you how to create an email newsletter that builds brand loyalty and turns readers into consumers.